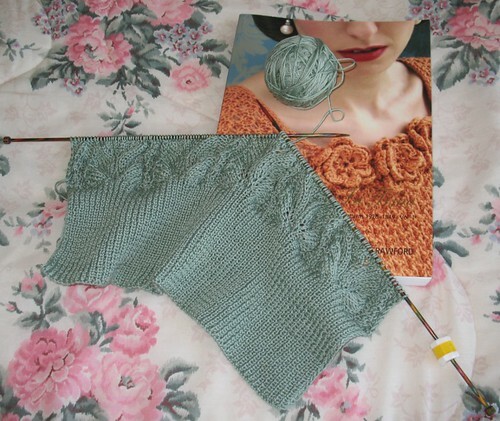 With the stormy weather this past week, my knitting needles have been very busy. 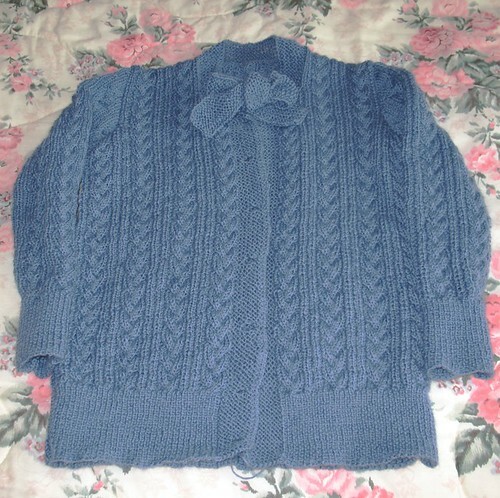 In fact, I am basically done with this Tri-Cable Stitch Jumper from A Stitch in Time, Volume 2. The only thing left to do is, in my opinion, the most challenging - finding suitable buttons! Hopefully the notion gods will be with me this week and I will be able to find something fantastic. If not, I will make my own dorset buttons. And while I hate to leave a project unfinished when I am almost at the end, I could not resist casting on another sweater. This one is from Volume 1 of A Stitch in Time. 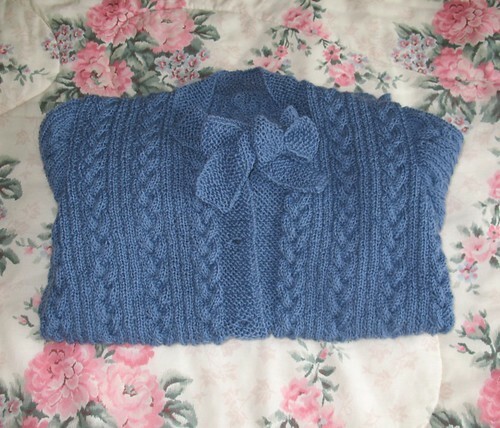 I am using cotton, so I will have plenty of time to wear it this year (hopefully!). 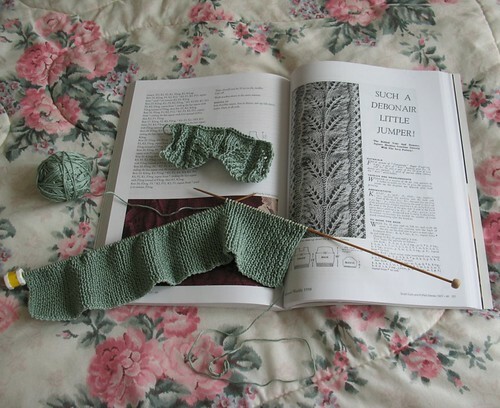 Knitting has never had any appeal to me because it doesn't feel right to my long fingers and I prefer not making my own fabric from scratch! But your lovely sweaters may bring me around. I've also heard that it's quite meditative. It might be worth a try. Surely I could manage a scarf? That blue sweater is beautiful. Love the braided cables and the bow.